Pacific Honda Blog: Honda Civic Among Wards "10 Best Interiors"
The 10th-generation Civic has been a media darling from the moment it debuted, but this time around it is being given credit for what it offers on the inside. Thanks to roomy, comfortable seats, loads of technologies and a surprisingly upbeat aesthetic redesign, the Civic is the kind of car that just about anybody could love. At the very least, it’s a vehicle we can’t imagine customers regretting purchasing. As for what specifically Wards loves about the vehicle, it starts with some of the small, lavish touches that put the Civic up a few rungs on the ladder of luxury. It features new white stitching on the steering wheel, seats, door panels and center console, while the new center stack features lower controls that are easier to use for drivers. There is loads of headroom for a vehicle this size, and Wards even comments that the driver seating position is about as perfect as is possible. 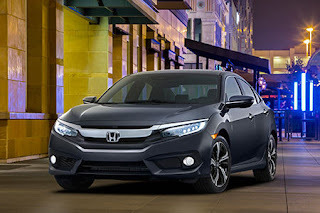 There are, of course, other reasons to love the interior of the new Civic, and if you’d like to see what those are please stop by your friendly neighborhood Honda dealership and see for yourself what all the fuss is about. We’ll get you set up for a test drive, so you can personally experience just why this vehicle boasts one of Wards’ favorite interiors.